Don’t Miss Out! 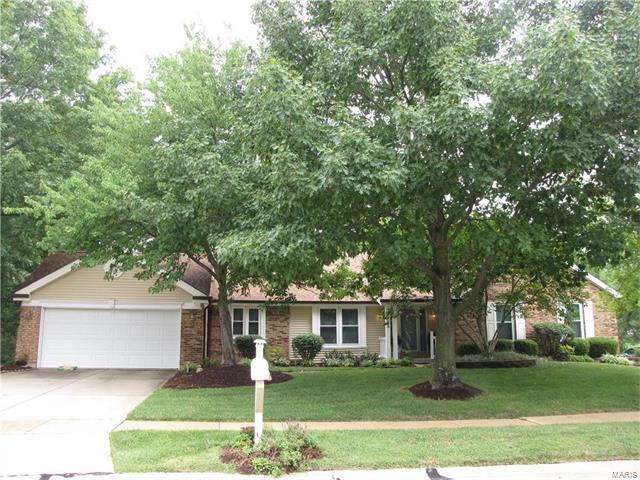 Spacious Ranch in Sought after Forest Oak Estates!! Great location in highly rated Parkway South School District near Dietrich & Carman Rd! Home has nearly 3400 sq ft + of impressive living space! Highlights include: Large Foyer and Dining Room Open to Vaulted Great Room w/ Full Stone Woodburning FP Framed By Windows! Skylights! Tons of Closets! 6 Panel Doors! Bright, Open Kitchen, with Custom Cabinets, and Breakfast Room that opens to top tier of deck! Main Floor Laundry/ Mud Room, w/closet! Large Main Floor Master Suite w/ Huge Custom Walk In Closet, Double Vanity, Tub, & Separate Shower! 2 More Big Bedrooms on the Main Floor, & Full Hall Bath! Finished Lower Level with Family Room, w/ full Masonry WB FP, that Walks Out to Patio & Deck! Huge Rec Room, and 15 x 14 Den or 4th Bedroom, and Full Bath! Storage room with wkbenches! Private 4 Tiered Deck, that Overlooks Wooded Backdrop is Perfect for Entertaining! HSA Home warranty FREE to Buyer! Close to Cool Dell Pool! Dougherty Ferry to R on Carman to R on Dietrich to L on Redwood Forest House in on the Right! Sought after Location and Neighborhood!